Meta tags are Simple HTML codes that can describe various factors of your site to the search engine spiders .These factors include web page title ,Description,keywords , language and many others . Though many blogs says that the meta tags don’t have any value now , i strongly believe that they can affect SERPS in Google ,Yahoo and Bing . 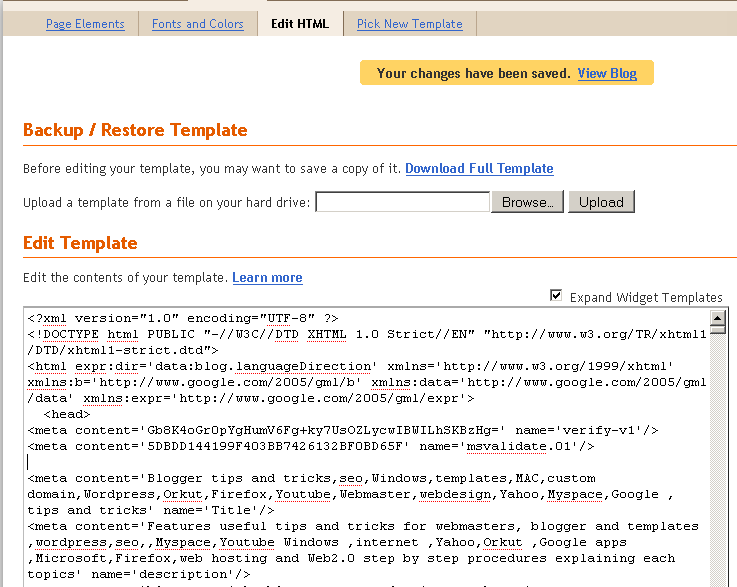 In this case i will help you to add meta tag in a Blogger blog. 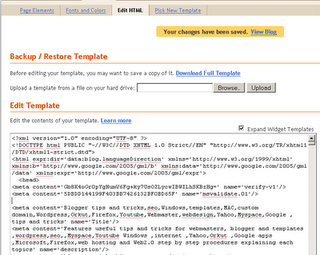 Go to your Blogger template Layout and Edit HTML . Find out the <head> tag and paste your details exactly after that selection. PN: Keywords in meta tag can help you to bring targeted adsense ads into your blog. to build a perfect meta tag for your blog or site.